It is not possible to assure how the weather will be on a particular day, it is unpredictable, since the sanctuary is located at a little more than 2 thousand meters above sea level between a snowy mountain range and the Amazon rainforest. Which causes you to have sudden changes. It can change quickly from a climate with cloudy skies, to a totally clear sky with moments of great sun and strong winds, in addition the inclemencies coming from the basin of the Amazon, with humidity and very heavy rains or intermittent drizzles. It is not uncommon to be able to enjoy several seasons in one day, since the weather in Huayna Picchu is determined by the mixture between the highlands, the cold winds of the mountain range and the warm humidity from the rainforest. 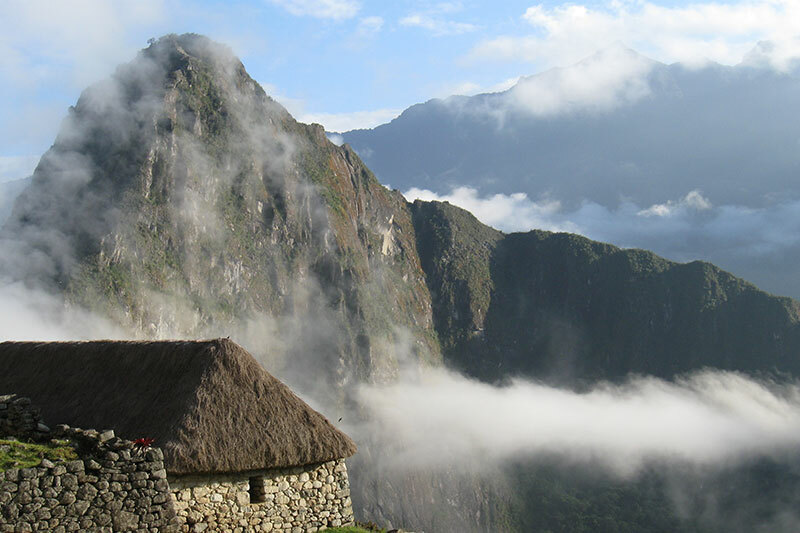 What temperature does Huayna Picchu have? There are maximum temperatures of 19° C to 21° C, and minimum temperatures of 8° C to 11° C, however in the higher altitudes temperatures can drop to 0° C on cooler nights. It includes the months of November to March. It presents a temperate climate in the day with temperatures that oscillate between the 19º and the 21º C, being able to descend in the night until 8º C. There are days of quite sun and strong radiation, with temperatures that can arrive until the 20º C, nevertheless of The same way and to a greater extent there are cloudy and rainy days especially in the months of December and January. The nighttime climate is temperate with 8º C average temperature, unless it rains during the day, which could cause the temperature to drop to 0º C. If you visit at this time it is imperative to wear waterproof clothing and / or Umbrellas, hiking boots, which allow you to walk on slippery and wet surfaces, but also sun block for moments of intense radiation. In these months we recommend to choose the second group to Huayna Picchu with opening hours from 10:00 to 11:00, Ticket Machu Picchu + Huayna Picchu Group 2. Why this group? In the rainy season the whole sanctuary usually dawns, covered by clouds so the visibility at the top is quite limited, which will prevent you from obtaining good panoramic views of the City of Machu Picchu. But the clouds are dissipating with the passing of the hours. It occurs between the months of April to October ; With maximum of 21º C during the day and 10º C at night; It is a time with sunny days and warm air, the vegetation of the area shows its best green tone of the year, with flowers everywhere, which contributes to the abundance of insects. It is also a season of frost and cold, being more intense in the months of May and June. Also at this time, the month of August is characterized by bringing strong winds and greater solar radiation, with 21 ° C during the day and an intense cold at night that descends to 0° C. It is advisable to use sunscreen at all times, Since the cold of the night also burns the skin. The presence of insects and mosquitoes is abundant on sunny days, so you should use repellent, sun block and sunglasses; Essential elements to protect your skin and make your visit without discomfort. September comes with spring, and a warm and cool climate, favorable to visit Huayna Picchu. June and July are the coldest months, with minimum temperatures of up to -2° C; Avoid getting sick by wearing warm clothing especially at night. Typically, the weather does not make it difficult to enjoy the scenery and the unforgettable experience of seeing Machu Picchu from the top of the Huayna Picchu, It should be noted that rainfall is present in any month of the year, given its location in the jungle; With slight drizzle. Despite this, Machu Picchu is always visited.